Oakfield Corners Dairy is a division of Lamb Farms, Inc http://www.lambfarmsinc.net/. 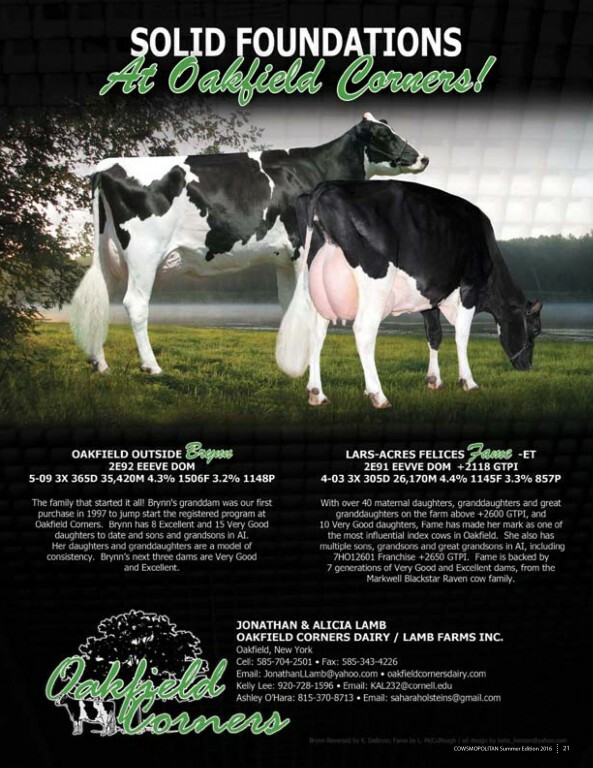 We are proud to work with some of the best cow families in the Holstein breed. A large-scale ET and IVF program allows up to focus on both high GTPI and show quality calves. The highlights of our breeding program is to market bulls to AI companies, and the biennial Spring Sensation Sale. With the addition of the Genetics Barn in 2014, we are better able to care for our high type and high GTPI females. We invite you to stop in during your visit to NY. 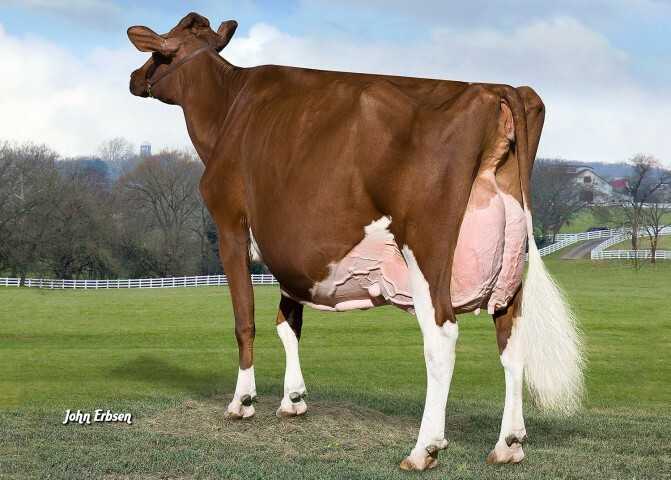 BELLA-ROSA GW SARA is now EX-96-3E. 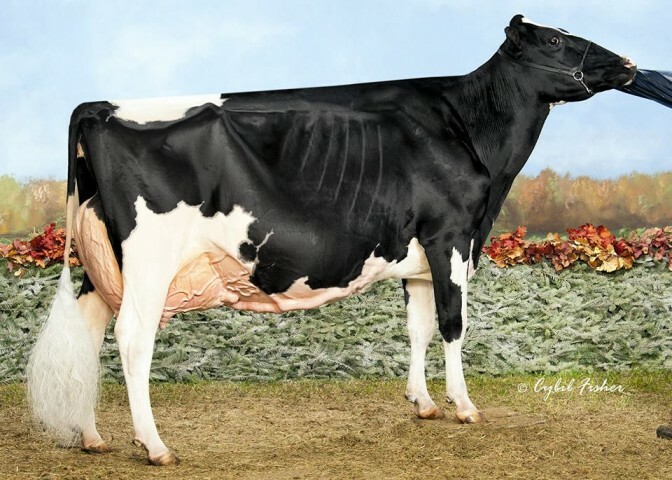 Sara is a daughter of Goldwyn and has a long and successful show history. Recently she was 1st Aged Cow & Grand Champion Nordeast Fall National Holstein 2018. 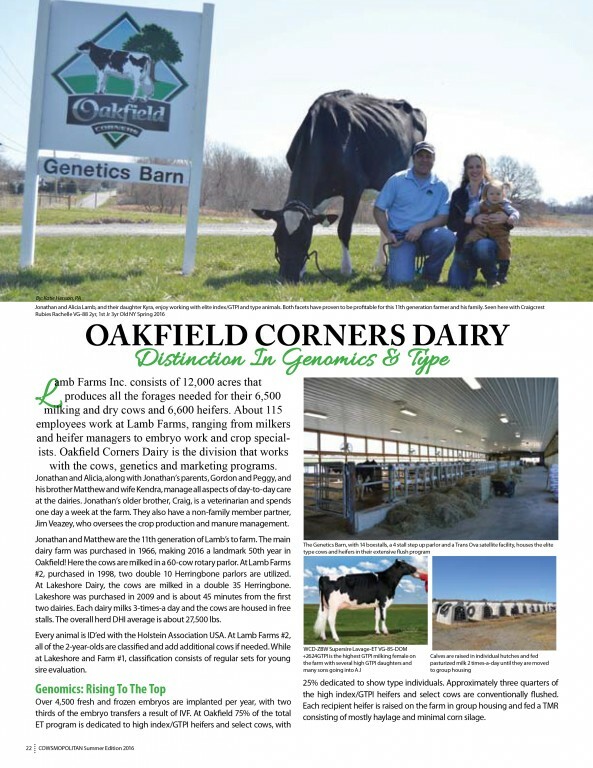 Congratulations to the team at Oakfield Corners Dairy! 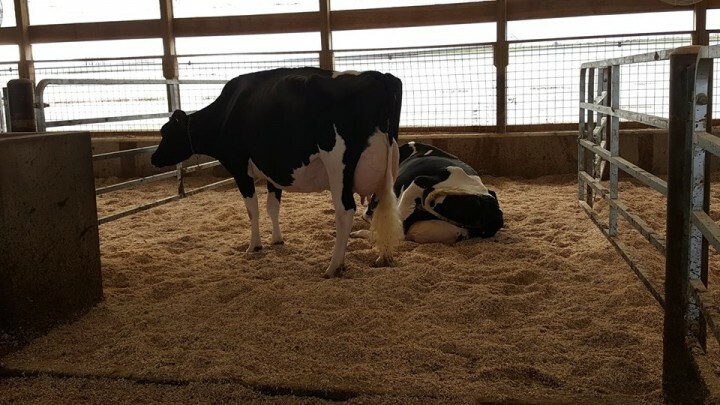 A tremendous classification at Oakfield Corners Dairy earlier this week included a total of 176 scored, 15 Excellents (8 new Excellents), 37 Very Good (1 new first lactation VG-89), 87 Good Plus (15 with VG-MS). 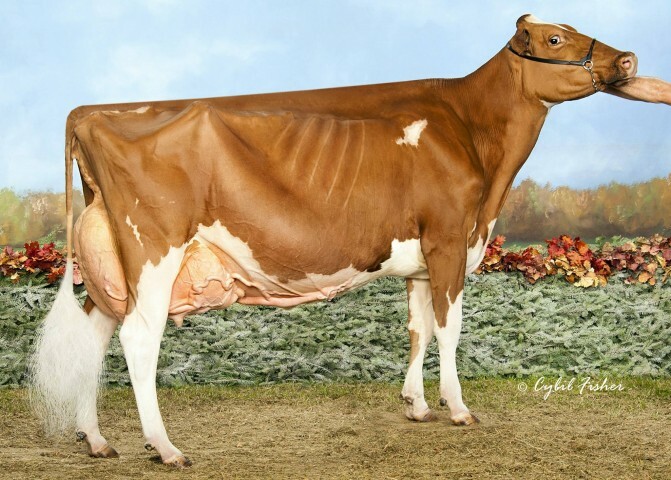 Highlighted by Vale-O-Sken Gold Karmilla going Excellent-94 (max) and the winning Senior 3-Year-Old at the Northeast Fall National Show 2018. Underground Bccas Blair-Red went Excellent-90 at 2-09 an exciting young cow that will show as a Senior 3-Year-Old next year! Congratulations to the team at Oakfield Corners! 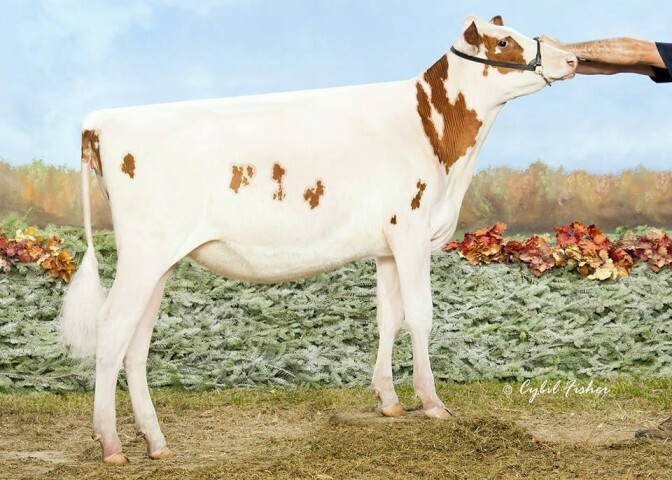 Lot 8 in the Ohio Holstein Fall Elite Sale is Oakfield Slater Tabby... A June 2018 Slater daughter that scores a +3.05PTA TYPE and is backed by Gaige Highlight Tamara EX-97-4E. 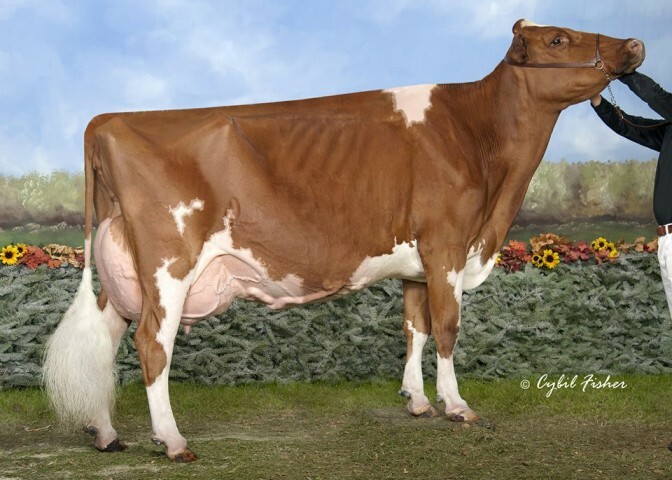 Oakfield is also featuring a Beemer granddaughter to FROSTY! Oakfield Corners had a tremendous World Dairy Expo. They bred Oakfield A Shampagne-Red, the 1st Place Jr. 3-Yr-Old, Intermediate Champion and Grand Champion of the International Red and White Show. Also had a couple Jordy-Red daughters in the spotlight, including OCD Jordy Lochness-Red, Honorable Mention Junior Champion and OCD Jordy Lochness-Red 1st Place Winter Calf. 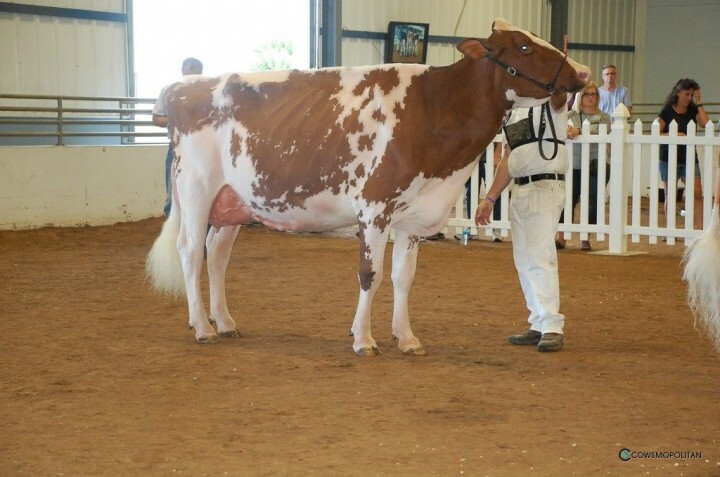 Lastly, Oakfield was also the Premier Breeder of the International Holstein Heifer Show. 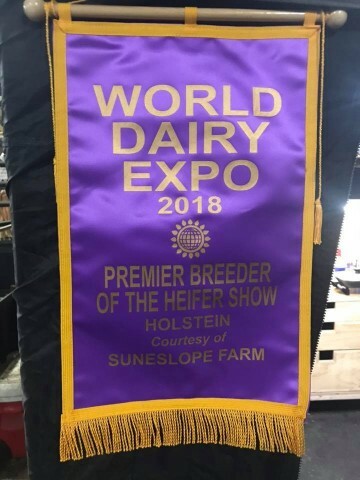 Congratulations on an exciting World Dairy Expo for Oakfield! Selling TONIGHT in the Eastern Elite Sale at 6:30 PM EDT as Lot 14 is a December 2017 Callen direct daughter (PICTURED) to the EX-95-3E SARA! 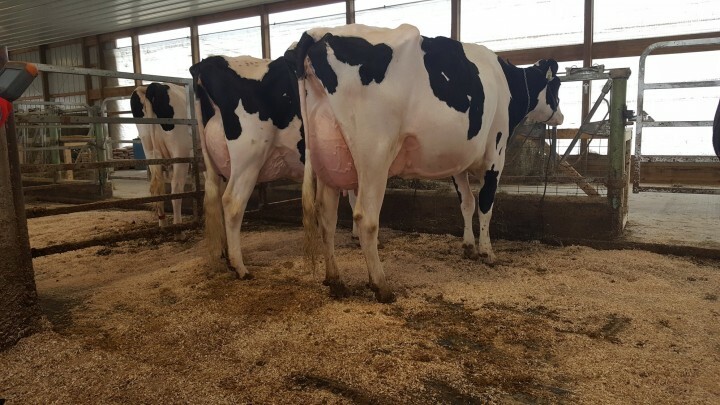 Selling as Lot 22 is an Undenied direct daughter to EX-94-2E Dawn and selling as Lot 33 is an Atwood direct daughter to EX-94 Beanie. 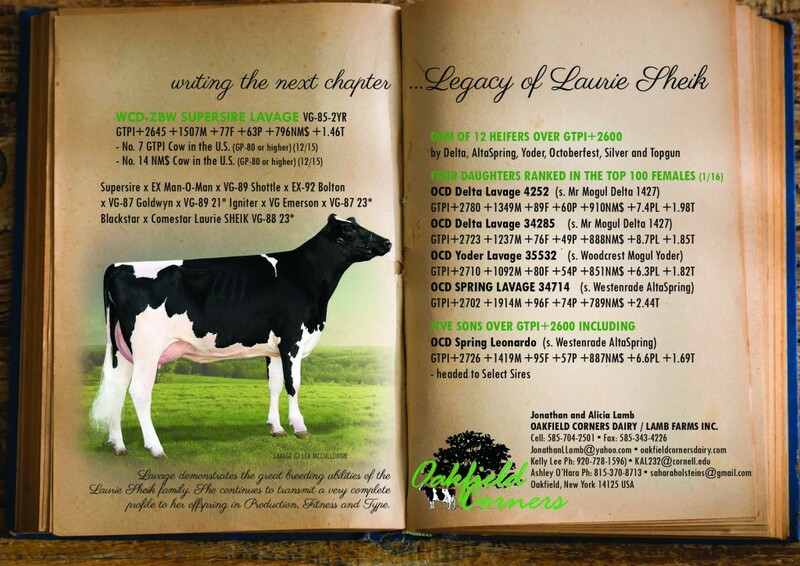 Don't miss out on these beautiful heifers that are all daughters to elite show type cows! Oakfield Corners take home Grand Champion honors of the Northeast Fall National Holstein Show with the winning Aged Cow, Bella-Rosa GW Sara EX-95! 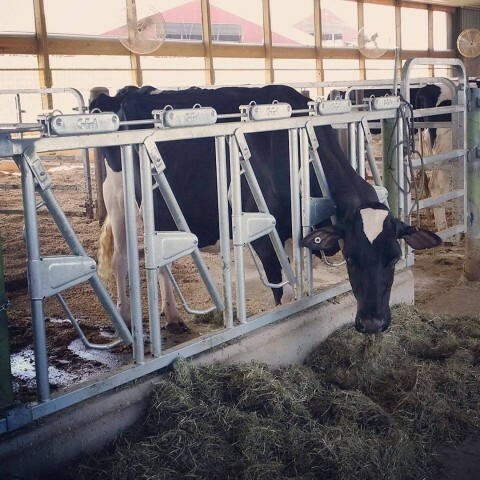 There were a total of 204 cows scored at Oakfield Corners last Tuesday. Which resulted in 6 excellents, 32 very-good and 117 good-plus! 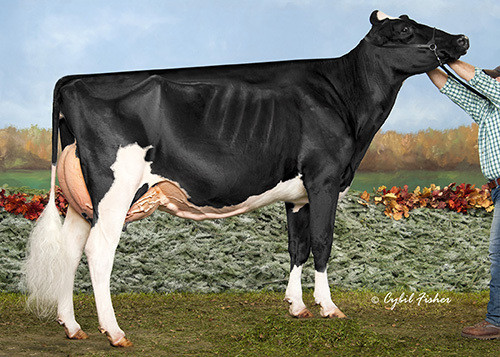 Classification at Oakfield Corners went well yesterday, Goldwyn KARMILLA now scored EX-93 EX-94-MS as a Senior 3 Yr Old! 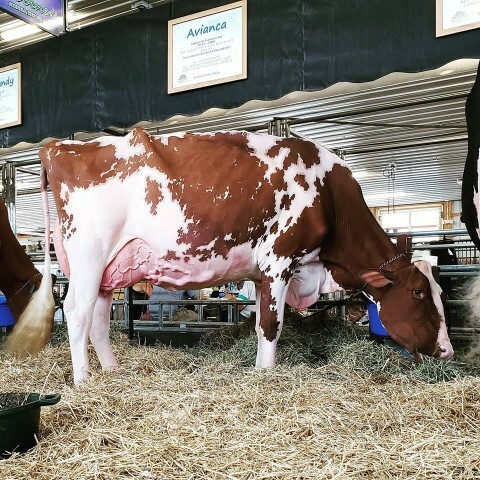 Oakfield Corners Dairy take home Grand Champion Red and White with Avianca (a Destry daughter to Apple1), Avianca was purchased in the Spring Selections Sale at the Great Northern. Her very first show in New York was great success! Oakfield also received Intermediate and Grand Champion Black and White with Vale-O-Skene Goldwyn Karmilla! +2955G Jared daughter completes the Top 5 GTPI calves! The Top 50 GTPI Calves in the U.S. under 9 months of age has been posted! Achiever followed by a Jared daughter tops the list! An Achiever daughter tops the Top 25 New Genomic Females List scoring a GTPI+2938! Right behind her is a Jared daughter at Oakfield Corners scoring a GTPI+2924 and goes back to the Barbie's! 2018 Oakfield Corners Tag Sale Results! Oakfield Corners Tag Sale starts TOMORROW May 4th and runs through the weekend. There are 51 lots included in the sale. Lot 1-4 are maternal sisters to Oakfield Blake Luxiurant... The 1st Place Summer Yearling and Junior Champion of the Northeast Spring National '18. The only embryos to sell from LUCKY ROSE this year! OCD Pinnacle Diesel is Oakfield Corners first animal over +3000G! He is the No. 1 high-ranking young bull for the month of February and the No. 3 overall bull of the breed! His dam is a recently fresh Draco, then EX McCutchen and 5 more VG and EX dams from the 4E-95 Rid Zip family! The NY Convention ET Sale is tomorrow January 11, 2018 starting at 6 PM ET. 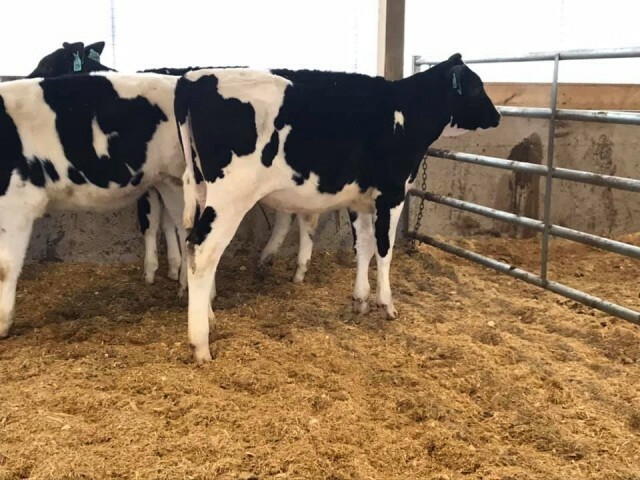 Selling for the first time from Sara "The Queen of Oakfield Corners", is your choice of Sara's four September '17 calves by Rebound and Solomon selling as LOT 17. Don't miss your chance on this rare offering! Create the next SHOW STOPPER... 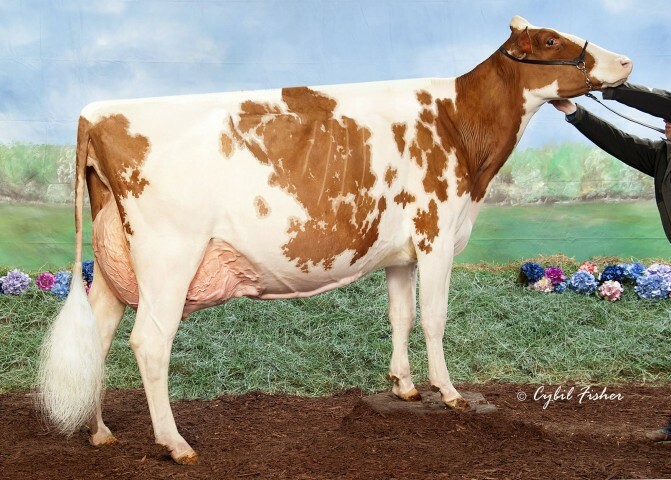 Selling tomorrow as Lot 129 and Lot 130 is a Redburst and Lotus daughter directly out of Wilstar-RS Tlt Limited-Red EX-94 2E! Take your pick from the All-American cow family! Great addition to your show string! Oakfield Solomon Harmony... A big time show calf for your show string! This sweet Solomon calf is directly out of Hez Atwood Haidee EX-92 Unanimous All-NY Sr. 2-Yr-Old 2015. Backed by Dundee HEZBOLLAH EX-92! Incredible show type pedigree! Don't miss your chance to invest in a great cow family! Mr Mogul Delta remains the #1 GTPI proven bull in the breed for GTPI. He is accompanied by his full brothers Denver and Dion in the Top 5. All three bulls are tracing back to OCD Planet Danica who was bred by Oakfield Corners Dairy, her full sister was OCD Planet Diamond who had a very successful career as a brood cow at Claynook Farms. 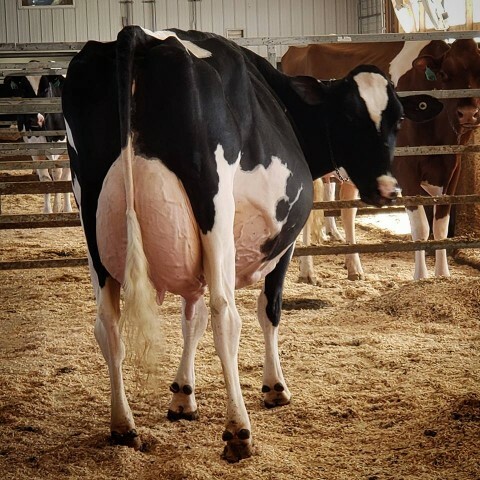 Oakfield Corners have recieved a new photo of EDG Ruby Uno Rae 2054 EX-91 DOM, who is the dam of 250HO12746 Rambo... She is fresh in her 3rd lactation and looking fantastic! Selling as Lot 4 is OCD Defiant Lucky-Red.. A June Defiant Red calf from the All-American R & W 4-yr-old 2009. Also selling as Lot 5 is Oakfield Blake Elicit, a June 2017 calf by Blake from Emily's Edair! Tremendous type offerings. Lot 45 and first in the ring! The New York Harvest Sale is tomorrow! And first to step in the ring is this beautiful Crush daughter out of the HM All-American Jr. 3-year-old 2016... Don't miss out on the opportunity to buy Rachelle's March '17 Crush. Diane's new picture is posted! Shiloh-Usa Avh Diane-Red new picture! Diane was 3rd place Winter Calf at World Dairy Expo, 1st and Honorable Mention Junior Champion at NYSF, and 1st and Junior Champion at WNY! Selling as Lot 45 is a Crush daughter directly out of the Honorable Mention All-American Junior three-year-old 2016 Craigcrest Rubies Rachelle EX-93... Another show heifer to sell is Lot 46 a Blake daughter directly out of Ms Ken-Drew Sanchez Feather EX-94. Tremendous opportunity for someone looking to expand or start their show herd! 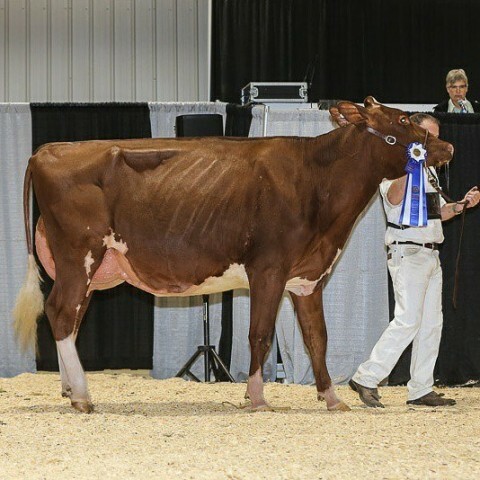 Oakfield A Shampagne-Red once again makes her way to the top.. Winning 1st place Junior 2-year-old and Reserve Intermediate Champion, and Grand Champion R&W at the Westerner Championship Show in Alberta. The Allegany Steuben Sale will be held tonight October 20, 2017 7:00 pm in Canisteo, NY. Selling as Lot 13 is a Blake daughter directly out of the EX-94 Ms Ken-Dren Sanchez Feather! 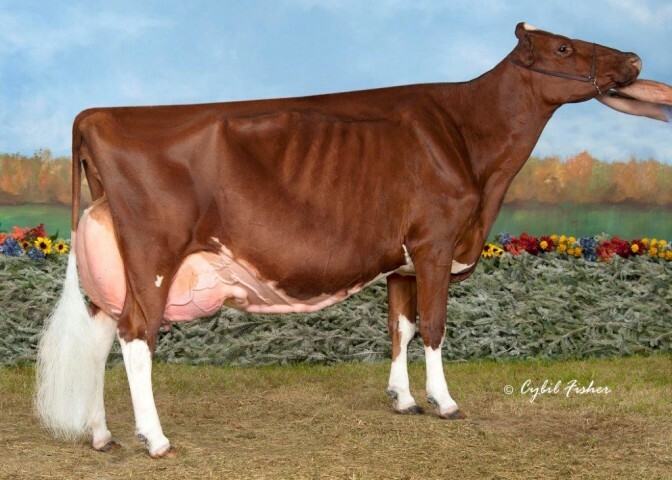 Also selling as Lot 14 is a June '17 Defiant daughter out of EX-94-2E Limited-Red! Tremendous show type offerings! The Eastern Elite Sale will be held September 19, 2017 at the Pennsylvania Farm Show Complex in Harrisburg, PA. Selling as Lot 1, Gold Barbara WB Bianca. She is the only Windbrook daughter of Barbara in the World. Bianca will show as a Sr. 2 this year and is due back in May next year to Doorman! Oakfield Solomon Dandy, 1st place Spring Calf at WNY and the NY State Fair. 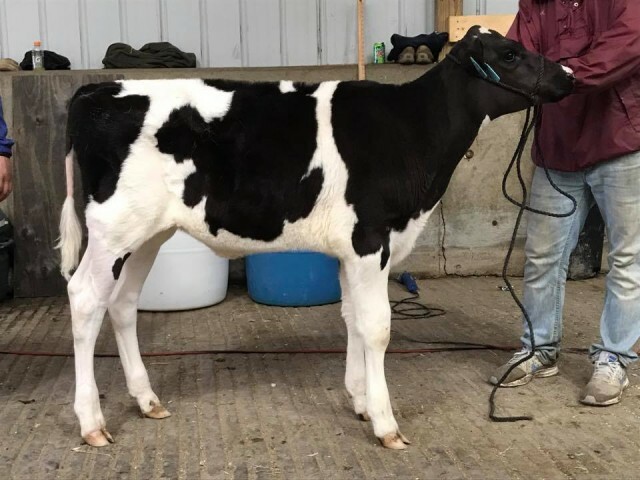 Dandy's full sister, Dynamic, sells as Lot 8 tonight at the Mifflin County Summer Event, 7pm in Reedsville, PA. Dandy and Dynamic's Gold Chip Jr 3 sister looks tremendous and was recently 2nd place in Canada at only 3 weeks fresh. Don't miss this great offering! As well as several other tremendous animals selling. The New York State Fair Holstein Show 2017 has been concluded in Syracuse, NY. 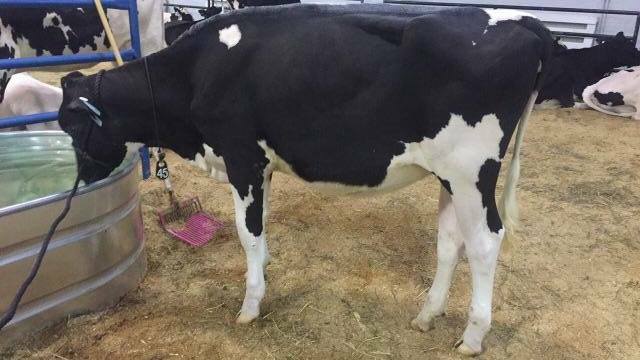 Judge Chris Hill, MD has named his Grand Champion, OCD Bradnick Candy, 1st 4 Year Old, exhibited by Oakfield Corners Dairy. Lot 32 ~ Butlerview BK Alexx +3.03PTAT +2.37UDC +2.49FLC, Goes back to CHIEF ADEEN! The 2017 Spring Sensation Sale is right around the corner and the sale order is now available! 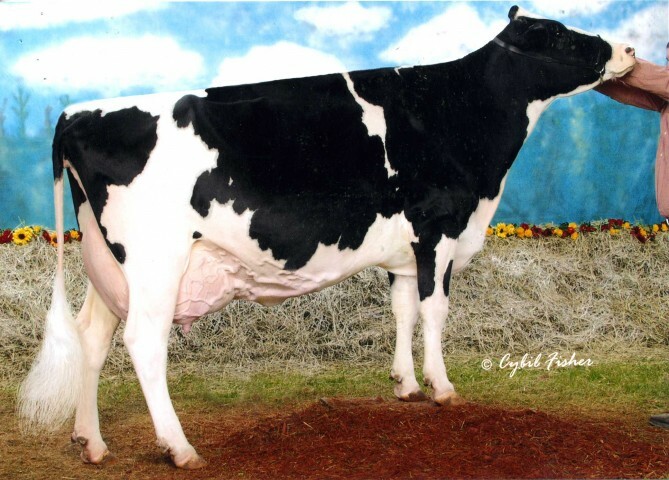 Pictured as Lot 62 is a Goldwyn fall calf directly out of the EX-94 Ms Ken Dren Sanchez Feather! There will be several exciting animals selling and the sale starts at 11AM tomorrow. Be there beforehand to have your favorites picked out! Oakfield Corners are welcoming all to their 7th Edition of the Spring Sensation Sale this upcoming Saturday May 20th, 2017.. Selling are nearly 90 lots from strong pedigreed animals. Whether you're looking for your genomic powerhouse or show type there will be several tremendous offerings you don't want to miss out on! 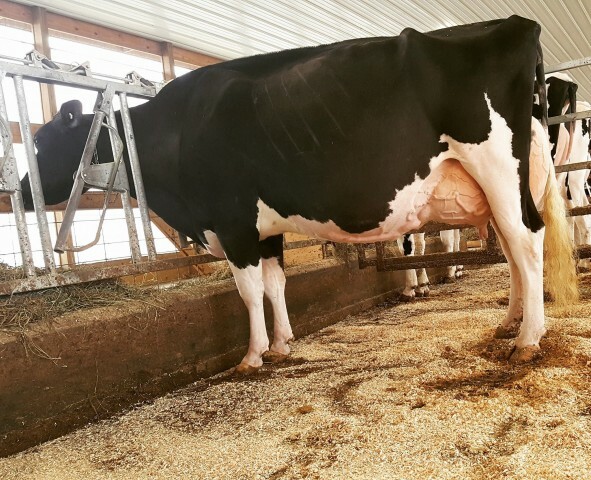 Oakfield Corners Dairy ended classification last week with a total of 5 new excellent cows, including EX-92 Hez Atwood Haidee! In addition to 16 VG 1st lactation cows.. Including a VG-88 Atwood and a VG-88 Kingboy. Several decendants selling in the upcoming Spring Sensation Sale! Congratulations to Oakfield Corners on a fantastic classification day! 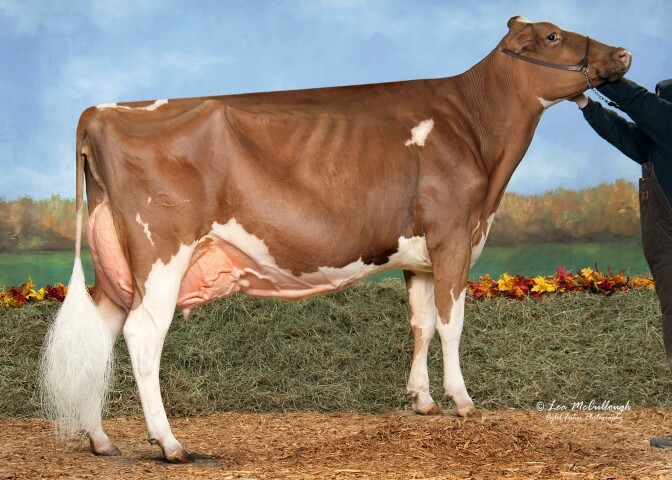 Indianhead sells as Lot #20 a Doorman daughter out of Indianhead Trinity EX-92-2E.. Same family as the EX-96-3E-DOM Ernest-Anthony SD Tobi! 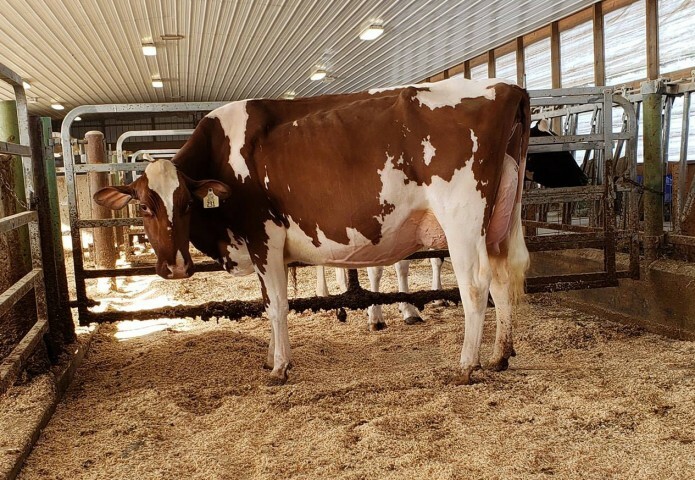 Oakfield Corners is selling as Lot #23 a Jacoby daughter out of EX-91 Woodlawn Dundee Daphne whose out of an EX-92 Durham backed by an EX-93 Juror. Deep maternal line! Oakfield Corners reports the results of an exciting classification! 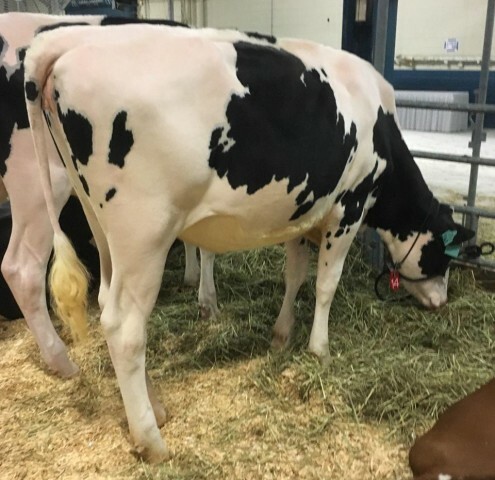 Highlights include an EX-94 EEEEE Braxton daughter of Harvue Roy Frosty EX-97, an EX-90 McCutchen daughter from the Gold Missys and many more EX and VG-2YR-Olds backed by breed leading families like Crimson, Roxy, Raven, Lili, Elegance and Barbie! READ MORE. Oakfield Corner has send a great group of heifer to the Holiday Fashions at the Northern Sale. The sale will start tomorrow 11 AM at the Great Northern Sales Arena in Fond du Lac Wisconsin. Don't miss out on the elite consignments from Oakfield Corners from the Elegance, Finesse, Ravens or the buy a granddaugher of Skybuck Lucy. READ MORE. 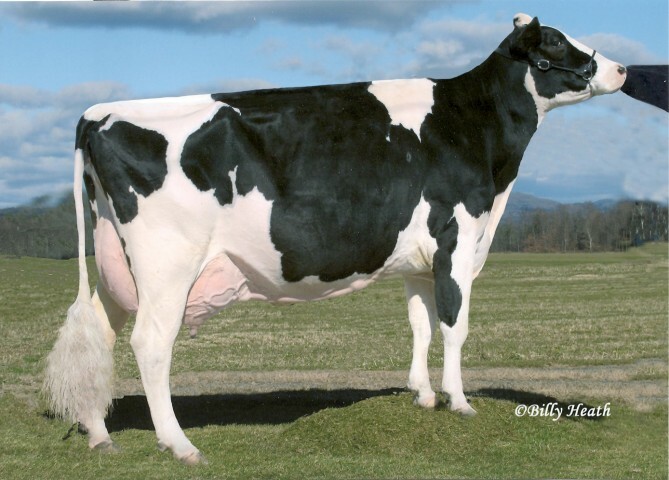 Take a look at the grazing picture of the Excellent-90-3YR Numero Uno daughter EDG Ruby Uno Rae 2054 EX-90-3YR DOM! 2054 is proving herself as one of the best transmitters at Oakfield with already 12 daughters over +2600G including 3 over +2700 GTPI! 2054 is the dam of the popular mating sire OCD Kingboy Rambo at Select Sires. Fantastic day Oakfield Corners at WNY Regional Show! 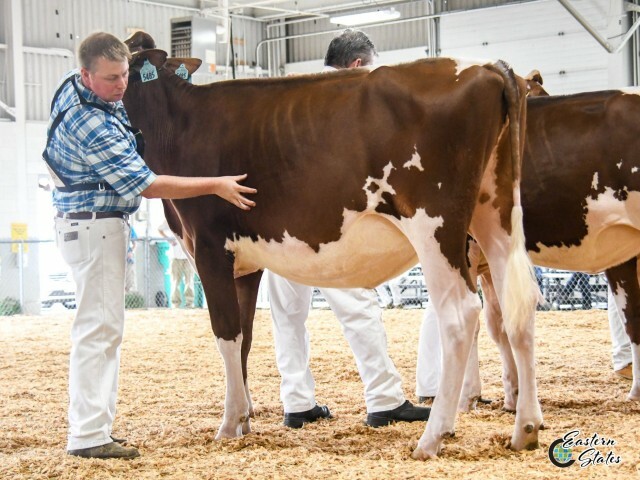 Oakfield Corners had a tremendous day at the Western New York Regional Show recently, exhibiting both Grand Champion and Reserve Grand Champion. 1st Place Aged Cow Bella Rosa GW Sara (s. Goldwyn) was Grand Champion and Long Haven Sid Carla (s. Sid), 1st Place 4-Yr-Old Reserve Grand Champion! Congralutions! Tremendous R&W consignments from Holstein Plaza members! Oakfield sends fantastic lots to National Convention! Take a look at the update donor section of Oakfield Corners Dairy and their fantastic consignments to the National Convention Sale. Looking for a great Show Cow backed by a huge type pedigree? 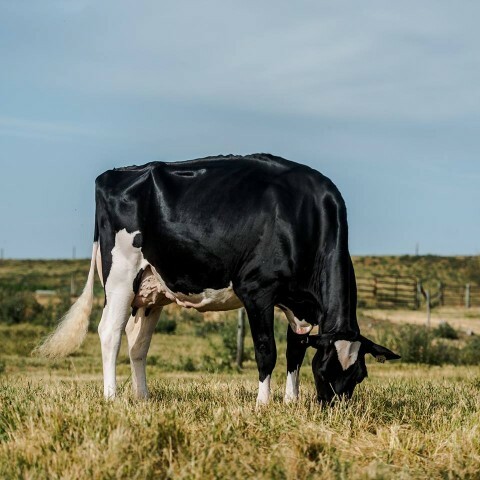 Selling as Lot 14T a stunning March Brady daughter from Budjon-JK Emilys Edair EX-95, the four closest dams all average 95 points from the Elegance family! Maternal sisters to Oakfield Brady Epic have scored very well at shows! 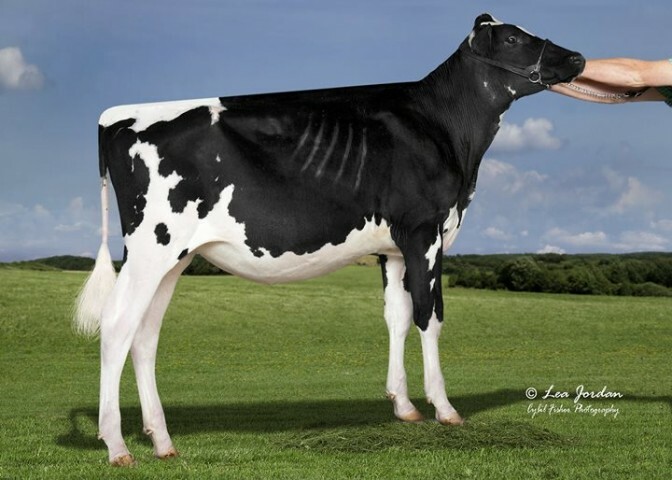 Also selling are a +2734 Supershot x Jabir from an GP-84 DOM altaIota daughter of OCD Planet Danica EX-93 DOM and selling as lot 12G is a +2727 Delta daughter that is ready to IVF backed by the Planet Sapphire family. Holstein Plaza members had a great day at the New York Spring Holstein Show 2016. CLICK HERE for the member highlights. 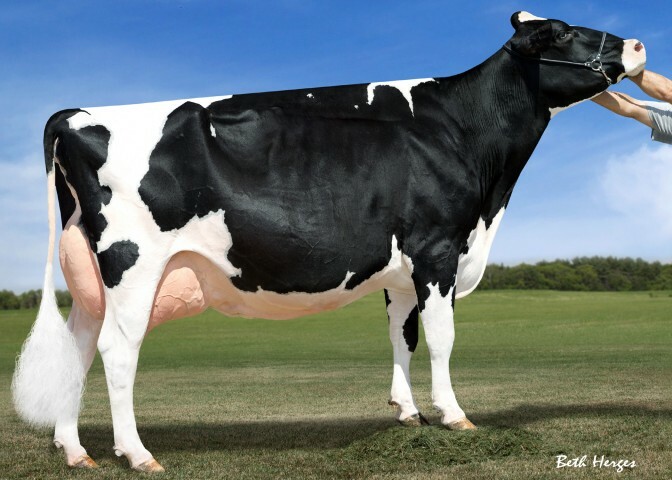 The Top 25 New Genomic Females for January 2016 is NOW ONLINE. Congratulations to Oakfield Corners with three of the top five heifers ... all over +2800G and maternal sisters from OCD Supersire 9882 and backed by the Wesswood Rudy Missy Family. Oakfield Corners reports some exciting classification results! Including several popular donors and bull dams received exciting scores. READ MORE. Locust-Ridge Plaid Beanie wins WNY Regional Show! 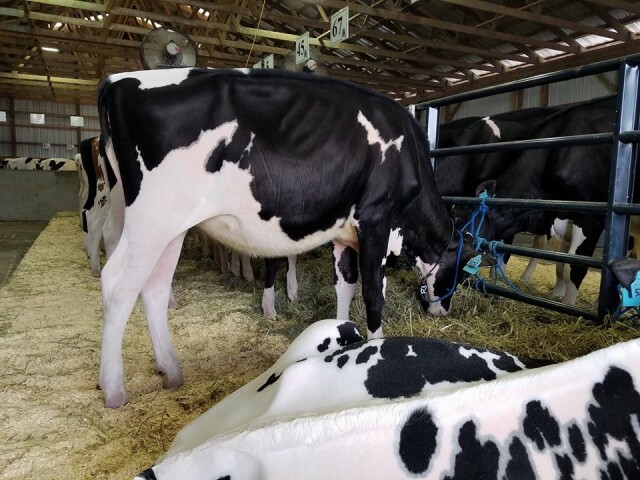 An exciting day for Oakfield Coners Dairy, their recent purchase Locust-Ridge Plaid Beanie was Senior and Grand Champion of the WNY Regional Show, earlier during the day Beanie was the 1st Place 5-Yr-Old. Also winning their class was Hez Atwood Haidee, 1st Sr. 2-Yr-Old and Intermediate Champion, Craigcrest Goldwyn Rachelle, 1st Jr. 2-Yr-Old and Reserve Intermediate Champion. Oakfield Corners was also named Premier Breeder of both B&W Show and R&W Show! Congratulations! Locust-Ridge Plaid Beanie has arrived at Oakfield Corners Dairy. Beanie was bought by Oakfield Corners at the International Intrigue Sale and is an EX-94 EEEEE 5--Yr-Old! Watch for Beanie at the upcoming shows starting next week with a regional show next week. 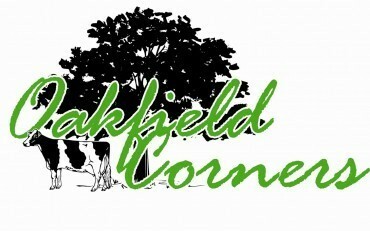 Oakfield Corners Dairy had an exciting classification recently with several new Very Good and new Excellent scored cows. CLICK HERE for the highlights. The Oakfield Corners Spring Sensation Sale was a tremendous success, averaging $14,509.00 over 74 lots. Lots sold to 20 different states and Canada. The sale featured two heifers over GTPI+2700. Lot 11 sired by Mr Mogul Delta 1427 from the Gold Missy family sold for $190,000 and Lot 94 a Supershot daughter with GTPI+2708 and 73 Protein from the Ravens sold for $175,000. 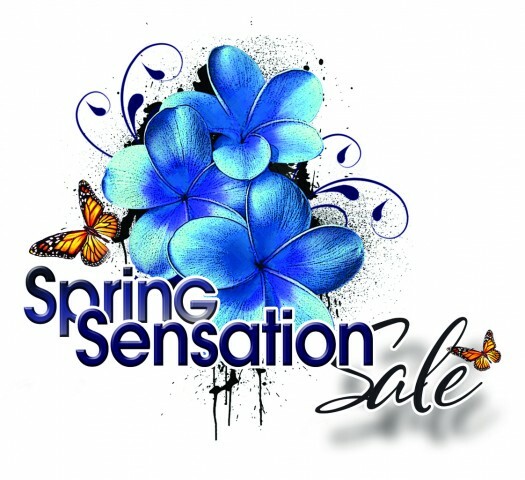 Oakfield Corners Spring Sensation Sale TOMORROW! If you haven't had a chance to check out the catalog and tremendous lineup being offered at the Oakfield Corners Spring Sensation Sale tomorrow we encourage you to CLICK HERE. Sale will start at 11:00 a.m. (EST) at the Lamb Farms #2, Steve Mower will be attending the sale, please feel free to contact Steve (+1 240-520-5906) with any questions. Holstein Plaza welcomes Oakfield Corners online. 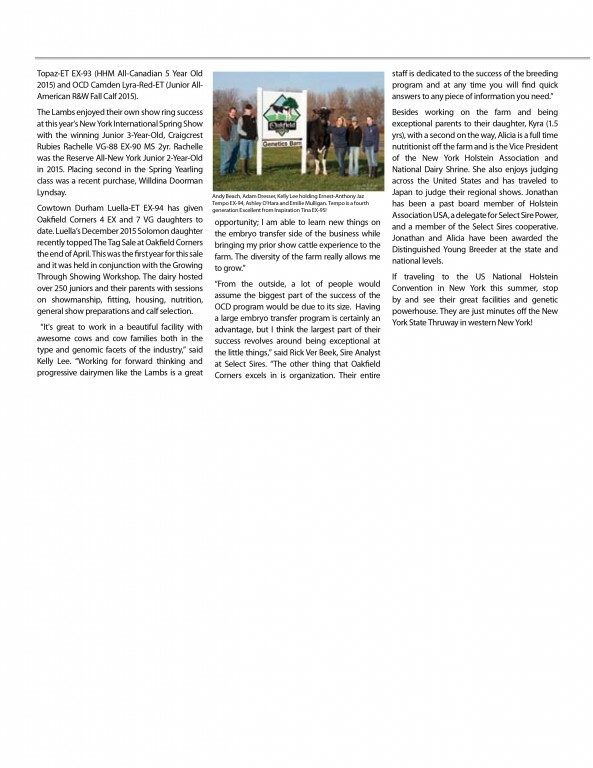 Click here to learn more about the donors currently being worked with by Jonathan and Alicia Lamb and family at the farm in Oakfield, New York. We also encourge you to check out the tremendous lineup selling on May 9 at the Spring Senation Sale... 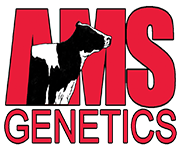 Breed Leading Genomics - Show Quality Red & Whites and Black & Whites.